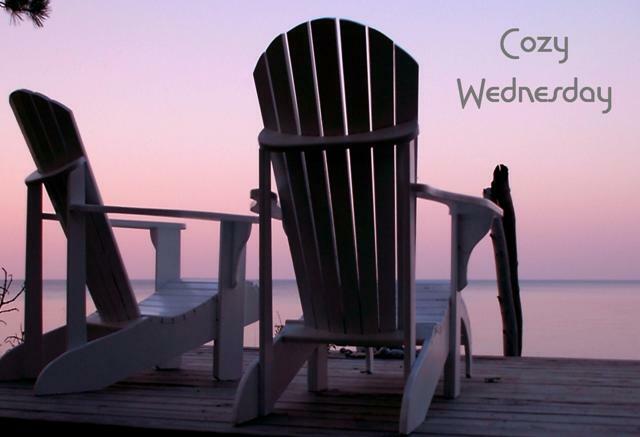 Cozy Wednesday with Erika Chase – Author of Law and Author – Giveaway too! Erika Chase is my guest today and I couldn’t be happier to welcome her back to Escape With Dollycas! Do you know the best thing about being in a book club? Did you think I’d say, the books? Well, it’s the people. Those terrific mysteries can be read any time and talked about over coffee or one afternoon during shopping therapy. But, if you’re lucky, it’s the people that make it special. And believe me, I hit the jackpot. We’ve been together for five books now. Law and Author is the most recent. And during that time, we’ve grown into family. Maybe it’s the camaraderie of sharing the books and of course, the cheese straws and other tasty treats. It also could be the, let’s see, I think it’s six bodies we’ve found and of course, gotten involved in tracking down the killers. You know, you just can’t let a murderer get away, especially when one of your friends is being unjustly accused. In Law and Author , it’s not one of us though, who makes it to the top of the suspect list. It’s Bob Miller’s granddaughter. Bob’s the retired Police Chief and sweet on Molly Mathews, but I digress. His wife left him, taking their young daughter, many years ago. Seems his salary wasn’t enough to keep her in the manner she desired. They divorced, she married a banker with a fatter bank account, and never let Bob see his daughter again. Really mean spirited, I think. But then with her demise, and the money tap shut off, Bob’s granddaughter, Darla, whom he never even knew existed, turns up on Molly’s doorstep looking for her granddaddy. The guys were away on a fishing weekend and were lucky this time, meaning we got to feast on fresh bass. Next thing we know, Darla came back the next day for our barbecue and Molly invites her to stay, as in her house for many days. But then a body is found in the back yard, and all hell breaks loose. So, of course, we, being the book club, have to help out. That’s what we do. Sure, we haggle over books, like Molly loves Agatha Christie while Bob wants a contemporary police procedural. Stephanie’s into more of the chick lit mysteries and Andie loves anything with Stephanie Plum doing the sleuthing. Sally Jo likes a little romance in hers while her main squeeze, Jacob, being a lawyer, likes law reads. That’s our group. Oh, just about forgot me. I’m pretty much on the same page as Sally Jo but maybe something with more of an edge. 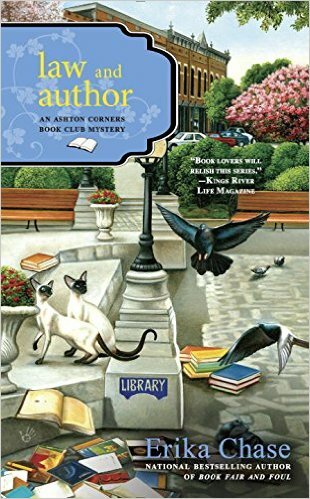 Of course, we all agree on the Cheese Straws hence our name, the Ashton Corners Mystery Book Readers and Cheese Straws Society. Food for the brain and the stomach! Great combination. I have a great idea. Why don’t y’all join us at the BBQ. Just meet up with us in chapter two of Law and Author . And remember to bring your appetite and a sunhat. 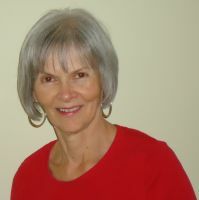 You can find out all about Erika and her books on her webpage here. The guys are away on a fishing trip when Molly gets a visitor, a young woman claiming to be Bob’s granddaughter. When he and his wife split up she took their daughter and refused Bob any time he wanted to see her. He thinks maybe spending time with his granddaughter, Darla, could be his second chance. Then a dead man is found in Molly’s backyard and he may be connected to Darla. She may be the police’s prime suspect. This gets the Ashton Corners Mystery Readers and Cheese Straws Society in high gear. They need to find out more about Darla and the life she left behind to find Bob and if she really did know the man who was killed. It time to get to the bottom of her story. I must be a doubting person because I would have questioned Darla’s story from the moment she arrived. Molly was far more welcoming and Bob much more accepting than I would have been. But then my love for this group of characters and my love of the chase to catch a killer took over and I was following the clues and where they led. Lizzie always gives me a few palpitations as she noses her way into places where others fear to tread. The character that was my favorite this was Sally Jo. All she wants to do is plan her wedding but her mother has her own ideas. I can relate, been there, done that. As always Erika gives us a wonderful mystery with plenty of diversions to throw us and the Society off the trail. The subplots are fun and interesting. I love the way the characters and their relationships continue to evolve and grow not only with each book but throughout each story. Each chapter starts with a quote from another author’s book. Several of which I have read and reviewed. There are Reading Lists for each character at the end of the story. They all like a bit different type of stories. We are a left with a “Oh My” moment that will have fans of the series wanting the next book as soon as possible. Leave a comment for Erika for 5 Bonus Entries. I attend 2 book groups, so this is right up my alley. Count me in for the giveaway. I have read your review about Erika Chase’s book, and I am looking forward to reading the books. It sounds great! I love this series and want to be a member of the cheese straws. Thanks for the chance to win. I have the first one in the series and am really looking forward to reading it. It looks so entertaining and I can’t resist a bookish murder. The cover in itself is intriguing. It sounds like my type of series. I LOVE this series! Looking forward to reading this new edition! Thanks for this great giveaway. A wonderful series. If you keep finding good books to add to my TBR list/pile I’m going to need a bigger house or a Kindle on steroids! I love it! Just put them all in the cloud like I do. I haven’t run out of space yet. I keep thinking it’s going to break open and everything fall out, though. Congratulations, Erika, on #5 in this wonderful series! I look forward to reading it. Another fun new book to read. I’ve been making room in my bookshelves. I’m a fan of this series, so thanks for the giveaway opportunity. I am a bit behind in this series but I’ve enjoyed all the books I’ve read so far and would love to catch up! This book is high on my TBR list–can’t wait to read it! Thanks for the giveaway! This is a book club I would love! Thanks for the giveaway! How readily people accept another character’s story is always interesting. Should they be believed? i would be interested in reading this book since i like cozy mysteries. Thank you for the giveaway! I love this series and can’t wait to read this! I love that she starts each chapter with a quote from another author’s book! I wonder if I’d recognize some! Must find out! Loved all five of the series, especially Law and Author. Looking forward to seeing you, Erika, Sept 23rd at the Ottawa event. Being in a writers club sounds like an enjoyable experience. Wish there was one near me. Love to come to your BBQ, but willing to read book instead. Eager to check out the quotes. Love this series! It must be fun to come up with the various personalities who would attend a book club! Congrats on the new release! I love the book club connection. I’m looking forward to reading this series. I’d love to be in a book club!